We have illustrated here that the price of the stock today is equal to the present value of all of the future dividends. How many future dividends are there? In principle, there can be an infinite number. This means that we still can't compute a value for the stock because we would have to forecast an infinite number of dividends and then discount them all. In the next section, we consider some special cases in which we can get around this problem. You might be wondering about shares of stock in companies such as Yahoo! that currently pay no dividends. Small, growing companies frequently plow back everything and thus pay no dividends. Are such shares worth nothing? It depends. When we say that the value of the stock is equal to the present value of the future dividends, we don't rule out the possibility that some number of those dividends are zero. They just can't all be zero. 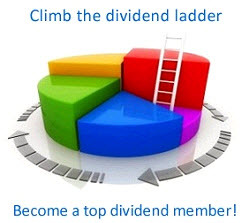 Imagine a company that has a provision in its corporate charter that prohibits the paying of dividends now or ever. The corporation never borrows any money, never pays out any money to stockholders in any form whatsoever, and never sells any assets. Such a corporation couldn't really exist because the IRS wouldn't like it; and the stockholders could always vote to amend the charter if they wanted to. If it did exist, however, what would the stock be worth? The stock is worth absolutely nothing. Such a company is a financial "black hole." Money goes in, but nothing valuable ever comes out. Because nobody would ever get any return on this investment, the investment has no value. This example is a little absurd, but it illustrates that when we speak of companies that don't pay dividends, what we really mean is that they are not currently paying dividends.